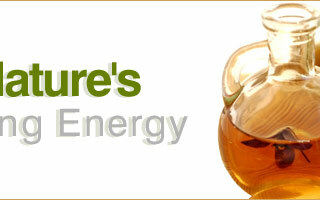 It is derived form the plant of Ocimum sanctum belonging to family Labiatae. It has been widely grown throughout the world and commonly cultivated in gardens. 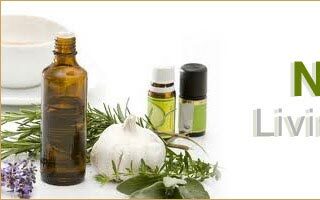 Helpful for nervous system disorders such as depression, headache, hypertension, insomnia, migraine, nervous tension, stress. 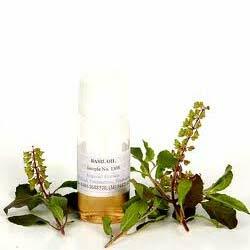 Basil oil used in flavoring liquor, chewing Tooth paste, cold rub oil etc. 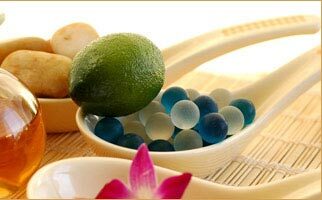 It is used in flavoring, cosmetics, soap, Pharmaceuticals and perfumery. Traditionally Ocimum sanctum is used in malarial fevers, gastric disorders and in hepatic infections. Ocimum sanctum leaves is also used in bronchitis, ringworm and other cutaneous diseases and earache. The leaves are used as a nerve tonic and to sharpen memory. Ocimum sanctum leaves are abundant in tannins like gallic acid, chlorogenic acid etc and also contain alkaloids, glycosides, and saponins along with the volatile oil. The major active constituents of Holy basil leaves include urosolic acid.